For the consumer searching for an efficient and cost-effective shipping solution, open trailer is the perfect choice. This style of transport is proven to be the most efficient and cost-effective making it ideal for automotive dealerships, car rental agencies, and private individuals. New and used car inventory along with personal vehicles are regularly transported via open car carriers. This style of transport is recommended for luxury cars, exotics, classics, antiques, and sports cars with low ground clearance. Enclosed auto transport is the top-ranking shipping method offering maximum protection for your investment. Vehicles on board are completely covered and protected from the elements, road debris, and dirt minimizing the chances of potential damage. By choosing expedited shipping, you are accelerating the car transportation process. Loads are usually picked up within 24-48 hours. Seeking to meet your end of month sales goal? Or looking to avoid storage fees when purchasing at an auction? Last minute corporate relocation? Our expedited shipping service may prove to be helpful. WHY CHOOSE 5 STAR AUTO TRANSPORT? 5 Star is among the leaders in the car shipping industry providing end to end reliable transportation solutions for automotive dealerships, car rental agencies, collision centers, custom car shops, and more. Our team of experts has over a decade of experience in auto transport and is currently rated 5 out of 5 Stars on transportreviews.com. We offer competitive, all-inclusive price guarantee quotes and the fastest transit times in the business thanks to the strong relationships we have built with our carrier partners. Our goal is to provide each client with the best price, free from hidden costs and high-pressure sales strategies. 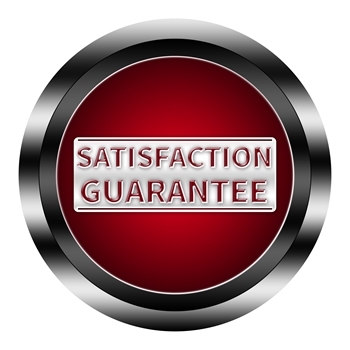 We proudly have one of the highest customer retention rates in our line of business due to the quick response time and first class personalized service offered by our team of specialists. We understand that effective and timely communication is key to client comfort therefore we always have live representatives on call, even after normal operating hours. Status updates are routinely supplied during the shipping process and we always provide same day responses to your inquiries. From pickup to delivery, our team will be there every step of the way. What truly sets us apart from other shipping companies? Our ability to meet deadlines and the fact that we consistently provide a professional service, covering all bases to ensure our customer’s investment is securely transported from start to finish. From dispatching the right equipment, to verifying insurance coverages and conducting a thorough multi-point inspection, our team covers all angles to avoid any issues during the transport process. Since we service some of the most demanding clientele in the business, we cannot afford to be anything but the best. They were very professional, honest and punctual. I will highly recommend them to anyone looking to transport a vehicle. I had dealt with companies prior to and was told misleading information. It was very frustrating. I was so happy to find 5 Star. What a difference! The service was great, the car got here earlier than expected and in great condition. This is a serious company and you should trust them, it is a risky industry but this guys with my experience were great! I found Ernie thru calling many different companies and got the impression I was dealing with an honest, good man. Turned out far better. The service, follow-up, timing, and price all exceeded my expectations. The transport was 770 miles and the car was delivered in 23 hrs. Could not ask for more. 5 Star Auto Transport was excellent. Highly recommend. They were honest and forthright. Definitely would use them for any of my future transport needs. Actually they transported 2 of my automobiles safe and on time. Great company...Ernie was very professional and was a man of his word , this is very rare in today's world of business! Will use again. Great service, driver was very careful, safe and expedient with delivery. I used the service of 5 Star Auto Transport for a personal buyer in South Carolina and I have no hesitation in recommending this Company to anyone who wants to transport their vehicle with utmost care. We used 5 star to bring my hot rod to our Florida home from Pennsylvania. The pickup and delivery was on time and very professional.Pricing was upfront, fair and a one time event, I did not have to provide funds to multiple people. There were no charges until the vehicle was in route, This made teh experience painless. I would definitely use them again.